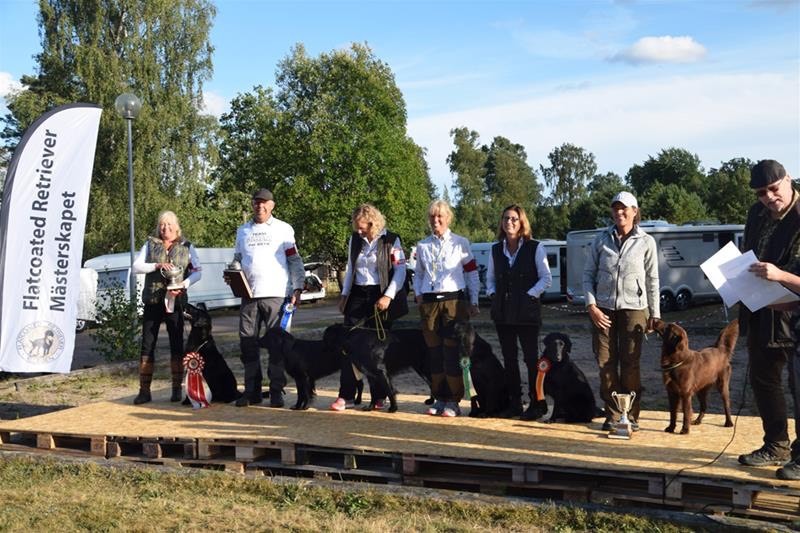 The Swedish Flatcoated Retriever Club organizes an open Working Test Championship in August every year. 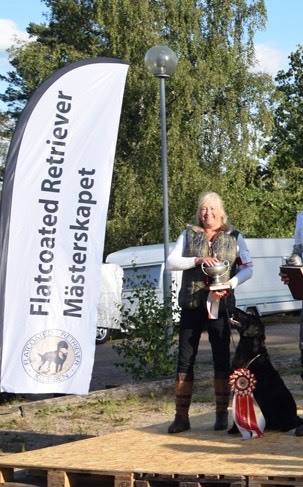 It is most probably the largest breed specific working test in the world welcoming more than 400 Flatcoat owners from the Nordic countries and many other European countries. It is arranged as a regular working test offering tests for five different classes with five test stations in every class. 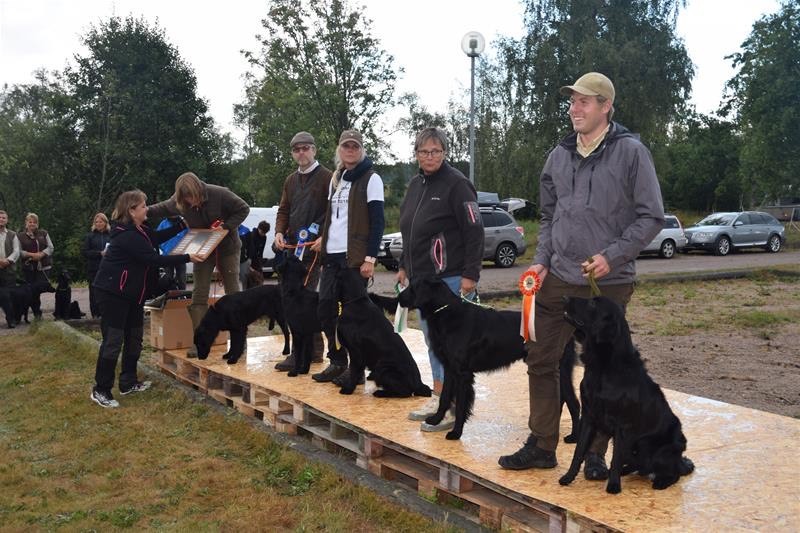 The Swedish Flatcoated Retriever Club is divided into eleven local sections and the Flatmästerskap is arranged by the different sections according to a rolling scheme. 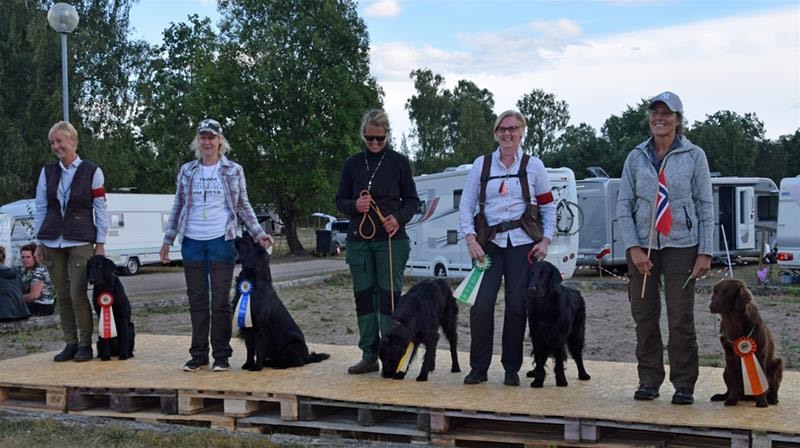 This year it was arranged by the Västra section and the coming year it will arranged by the Skåne/Blekinge section, in the southern part of Sweden. 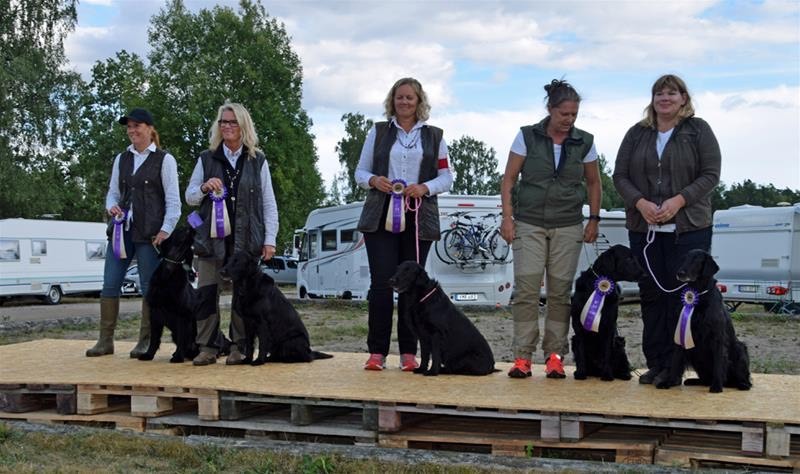 It gives excellent opportunities for working Flatcoat enthusiasts from other countries to compete or just watch some good Flatcoat work in a friendly atmosphere.